This is a premium quality two RCA (left/right) male to male stereo analog interconnect for your audio system. 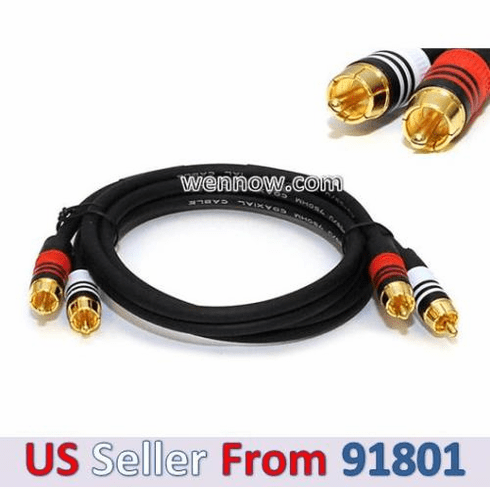 - Made with high quality RG59U 75ohm coaxial cabling. - Thick premium quality 22AWG cable. - Stranded copper center conductor. - Heavy duty gold plated corrosion resistant connectors.